I recently attended an absorbing and incredibly informative meeting with the United Nations Environment Programme. The Kingston office is situated in a building alongside the downtown Conference Centre that also houses the International Law of the Sea Convention offices. Stick a pin. What is the Wider Caribbean Region? The Programme Coordinator, Nelson Andrade Commenares, pointed out to us on the map that this area is much larger than we might think. In this corner of the Western Hemisphere we are all, indeed, connected by tides, currents, ocean streams. So the Wider Caribbean includes the adjoining Gulf of Mexico and all countries with coastlines thereon. 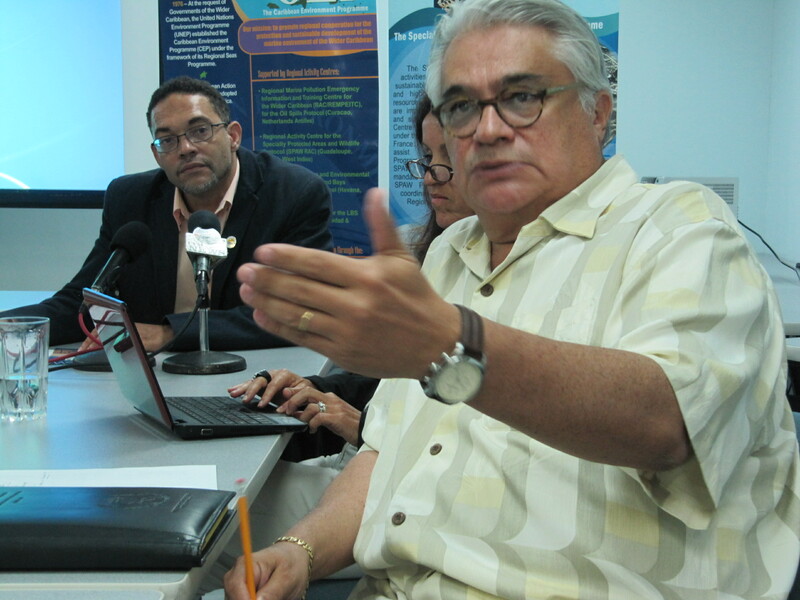 Let’s remind ourselves that the Cartagena Convention covers the marine environment. But of course, land and sea impact each other enormously – I will get onto that in a minute. The Convention was signed on March 24 (my birthday) 1983 in Cartagena, Colombia and came into force on October 11, 1986. 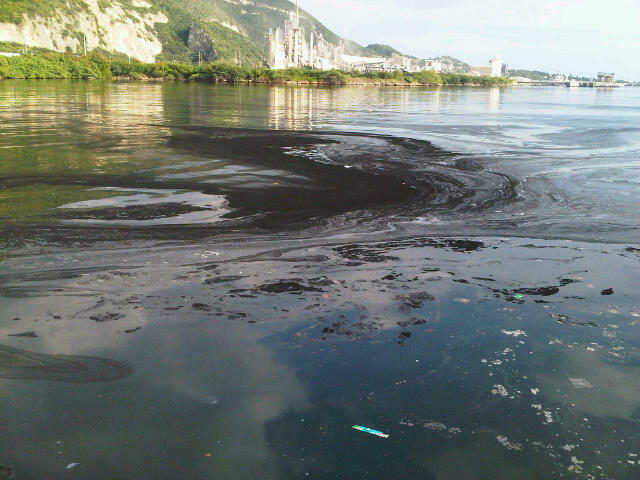 Three countries have not, for some reason, signed or ratified the Convention, nor its accompanying Oil Spills Protocol: Haiti, Honduras and Suriname. But there are two other important protocols to the Convention: The Land Based Sources of Marine Pollution Protocol (LBS) and the Specially Protected Areas of Wildlife Protocol (SPAW). Yes, a bunch of acronyms. There is always the danger of plunging into an “alphabet soup” when you work for governments and multilateral organizations like the United Nations. But these conventions and protocols are much more than pieces of paper with signatures on. You will see how, and why, I hope… Let’s look at the LBS Protocol first. 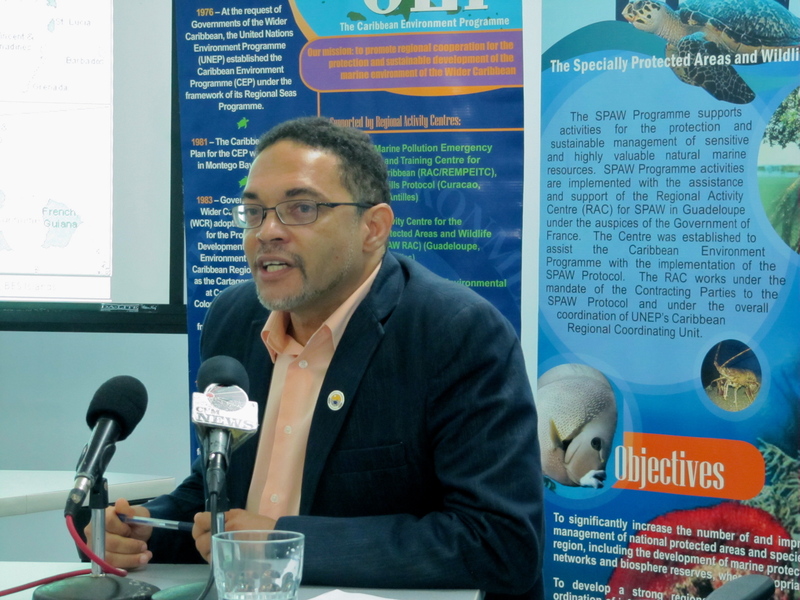 Christopher Corbin, the Programme Officer for the Assessment and Management of Environment Pollution, told us that Jamaica has not yet ratified or acceded to the Protocol, which came into force in 2010. So far ten countries have ratified and acceded to it: Antigua & Barbuda, the Bahamas, Grenada, Panama, Trinidad & Tobago, Guyana, Saint Lucia, Belize, the United States and France (the latter two countries obviously covering the U.S. Virgin Islands and those islands that are French Departments). This means that the protocol has “entered into force” (as of August 2010) and become legally binding for these ten countries. It is international law. 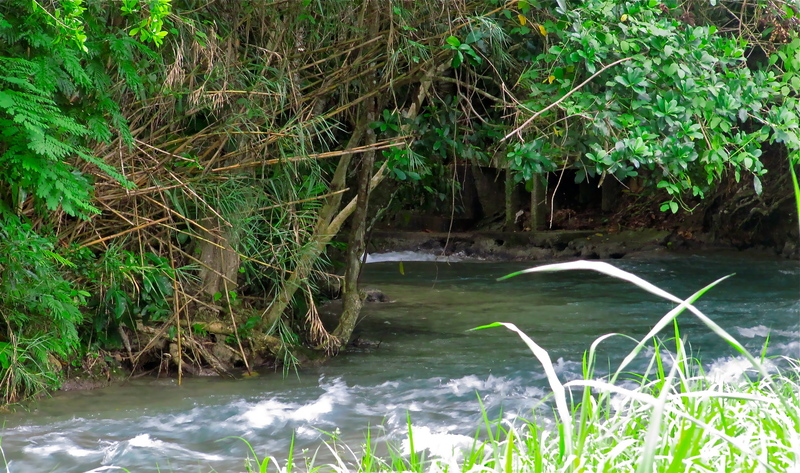 What is land based pollution in Jamaica? We are talking about the filth from domestic sewage, oil refineries, sugar factories and distilleries, food processing and other manufacturing activities, chemical industries. There is also agricultural run-off – you know, those pesticides and fertilizers and other chemicals that we regularly spray on our crops. We are also talking about bags of garbage dumped into the gullies in urban areas: we have all seen scandal bags sometimes containing human waste, old fridges and plastics of every kind in gullies, waiting for the next heavy rains that will carry it into Kingston Harbour and the sea. Take a look at parts of the harbor after heavy rains, and you will see what I mean. The waters are festooned with plastic bottles. And there is the pollution of our rivers. 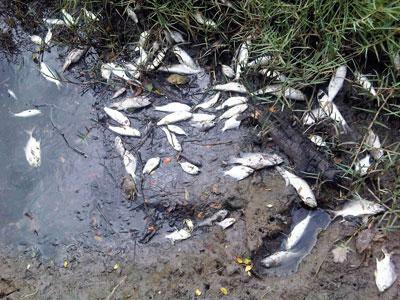 “Fish kills” are a regular occurrence. Fingers are pointed in all directions, but rarely is anyone held accountable, even when local residents have a good idea where the pollution is coming from. There is an urgent need for environmental law reform in these areas. And yes, rivers flow into the sea. In case we don’t realize it – and I think most of us do, by now – this affects the livelihoods of many Jamaicans on a daily basis. Pollution flowing from land to sea – whether it is untreated sewage or chemicals from a banana plantation – kills fish along the coast and even further out, severely damages coral reefs and thus immediately damages two core industries – fisheries and tourism. Our Caribbean Sea is not only a beautiful place to enjoy – it brings us prosperity. Like a beautiful gem, it has value, real and tangible. Something we did not discuss, but which is quite obvious, is that pollution impacts our health, too. Garbage is a breeding ground for rats and mosquitoes that bring disease. The water we use to drink and bathe in may be polluted. Seafood may be contaminated. 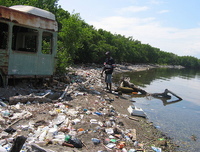 Did you know that 80 per cent of marine pollution comes from the land? And that 75 per cent of sewage that flows into the sea is untreated? Of course, there are benefits to be had for those countries that do ratify the Protocol, as well as obligations to control effluents and land-based pollution of various kinds. Jamaica would benefit from improved access to funding and technical support (both greatly needed, one would assume, in our current economic environment); stronger partnerships, both national and international; and much closer monitoring of the condition of our environment (and this is a core function of the CEP). You may ask why Jamaica has not yet acceded to the LBS Protocol? According to Christopher Corbin, many of our regulations on reducing pollution – for example, effluent from various industries – are out of date or inadequate, so changes must be made before Jamaica is ready. However, a proposal has been made for the ratification of the Protocol, he understands; this is now awaiting Cabinet review and approval. I hope our local environmentalists and journalists will monitor this and find out when this is actually going to happen. But, let’s face it. As someone commented during our discussion, among all the issues that governments are grappling with in this region, “environmental issues are somewhere in there.” Not at the top of the list. Not a great political priority. It seems sad, though, that when there is so much to be gained from added support from the United Nations and other multilateral organizations and governments, our own government is hardly prepared to meet them even half-way. Cooperation is, after all, not a one-way street. There is so much that can be done, when the will is there. Meanwhile, Mr. Corbin continues to press on with the work of data-gathering and working with governments to reduce environmental pollution (the UN Environment Programme is not a donor agency, dispensing funds for various programs; it works with governments at the policy level). The CEP office shares information and research and is a huge and valuable resource for governmental and non-governmental agencies, educational institutions, journalists and the like. Recently, it has partnered with the European Union and the Planning Institute of Jamaica in a Climate Change/Disaster Risk Management Project, among others. It conducts training, and has a range of great public education materials and an information-rich website. Raising public awareness, and encouraging “behavior change” – always a tough challenge – are priorities.Now, this is just my sense of things. But during the meeting I had the impression that despite the United Nations’ encouragement of Jamaica and other Caribbean governments to sign onto, commit to and implement protocols, agreements and regional cooperation to protect their environment, progress has been halting and results patchy. Regulations need to be re-examined, legislation amended, approvals given, we know. But why is progress so slow? Is it a lack of political will? A simple lack of interest? Misplaced priorities? Or just bureaucratic delays? Surely not a lack of understanding of the issues involved – the inestimable economic and social importance of a healthy environment. And yet it seems to be, at times, like pulling teeth. It simply makes sense to protect our fragile and increasingly threatened environment. 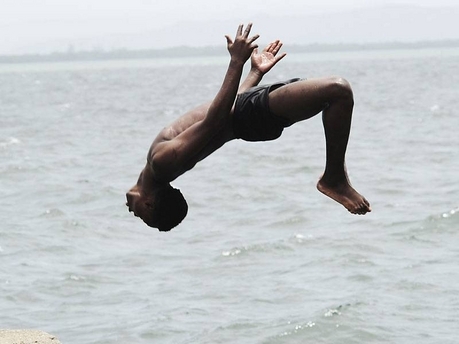 Why are Caribbean governments so half-hearted about it? Please let me know, Ministry of Water, Environment, Climate Change etc. and the many and various government agencies responsible for our island environment. Let me know when to exhale. Can we just get on with it and do the necessary? Let’s do this for the sake of our precious and beautiful Caribbean Sea, and for generations of Caribbean citizens to come. 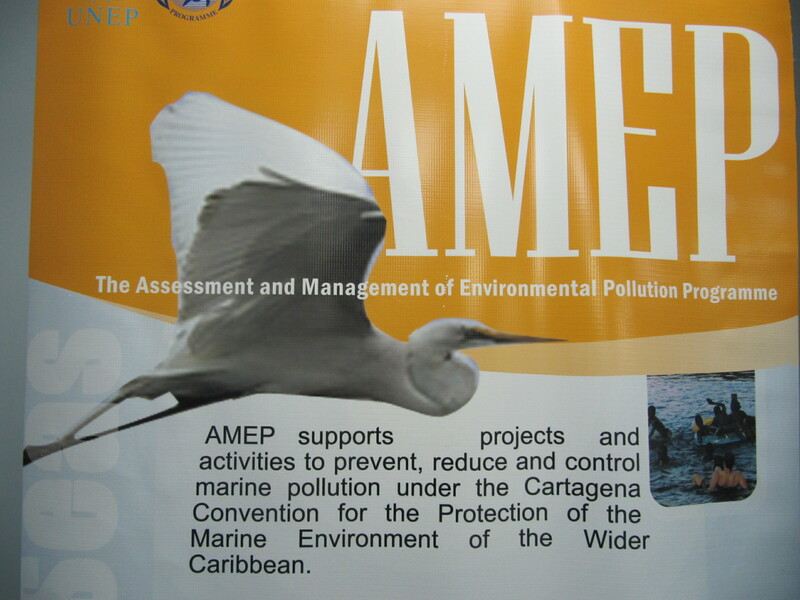 UNEP CEP, 14-20 Port Royal Street Kingston, Jamaica. The Amaterra Development: Is This Sustainable Tourism? The Petchary is a summer visitor to Jamaica. She calls loudly day and night, especially when a storm is near. The Petchary's blog is about the storms and the calm periods in between. Travel, locs, green smoothie, food, life!! !